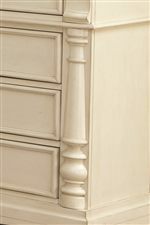 This bed features shutter detail on the headboard and footboard, bringing country cottage charm to your master bedroom. That country style sets the mood for a relaxing space, just what a master bedroom should be. 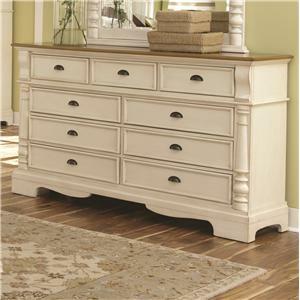 With a low-profile footboard this bed will be the focal point of your space without overwhelming the rest of the room. 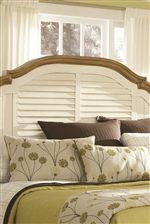 The Oleta Queen Panel Bed with Shutter Detail by Coaster at Value City Furniture in the New Jersey, NJ, Staten Island, Hoboken area. Product availability may vary. Contact us for the most current availability on this product. 202880QB3 Queen Bed Box 3 1 0" 0" 0"
202880QB2 Queen Bed Box 2 1 0" 0" 0"
202880QB1 Queen Bed Box 1 1 0" 0" 0"
Finish & Paint Options Buttermilk or Black finish with brown finish accents. Handles & Hardware Concave finger pulls. 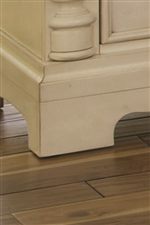 Case Detail Bracket feet and pilaster details featured on select items. Shutter detail used throughout collection. Drawer / Shelf Construction Drawers feature English front and back dovetail construction. Felt lined top drawer and full extension glides. Description: Top Tops feature a brown or oak finish. Case Construction Made from pine solids and veneers. The Oleta Collection is the perfect way to create a peaceful environment in your home. 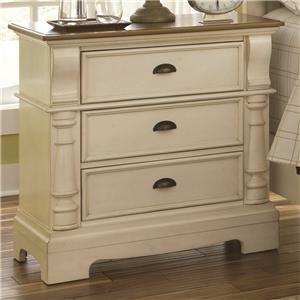 This collection features shutter detail for a country charm, sturdy bracket feet for stability and simple yet functional concave drawer pull hardware. With crisp finishes and brown accent tops, the color is clean but calm, while elements like pilaster detailing elevate pieces with classic appeal. Create a tranquil atmosphere in your bedroom that will spread throughout the rest of your home with the essential pieces and country chic charm found in the Oleta collection. The Oleta collection is a great option if you are looking for Cottage furniture in the New Jersey, NJ, Staten Island, Hoboken area. 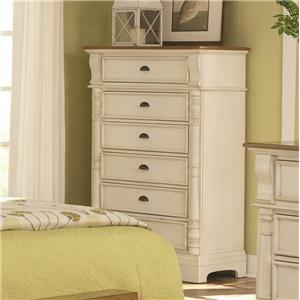 Browse other items in the Oleta collection from Value City Furniture in the New Jersey, NJ, Staten Island, Hoboken area.